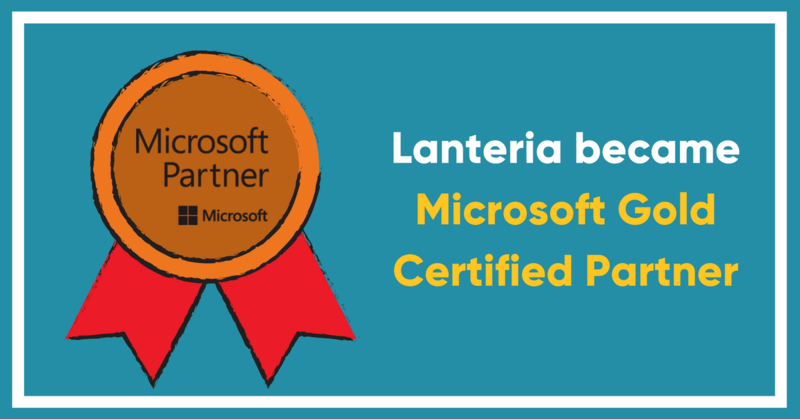 Lanteria announced today it attained the Microsoft Gold Certified Partner status. This fact highlights Lanteria’s increased technology competency and customer commitment. We’re very proud to become a Gold Partner. Our team delivers outstanding HR management solutions every day and reaching this level is a reward for us. Also, Gold Competency provides access to the latest software licenses, training and support. These benefits will help our team in future projects. Also, Lanteria obtained two Gold Competencies: Application Development and Collaboration and Content. Application Development Competency differentiates company with intellectual property that helps customers speed delivery and improve their apps. By earning the Collaboration and Content competency, company stands out as a partner that is capable of delivering SharePoint solutions and capitalizes on the collaboration market opportunity that building a SharePoint practice presents.